HOUSTON (KTRK) -- Make sure to give yourself a little extra time as you head in to work or school this morning. Dense fog is already bringing lower visibility to roadways across Houston and southeast Texas, creating potential road hazards for commuters. We are under a Dense Fog Advisory for many counties in the area until 9am. 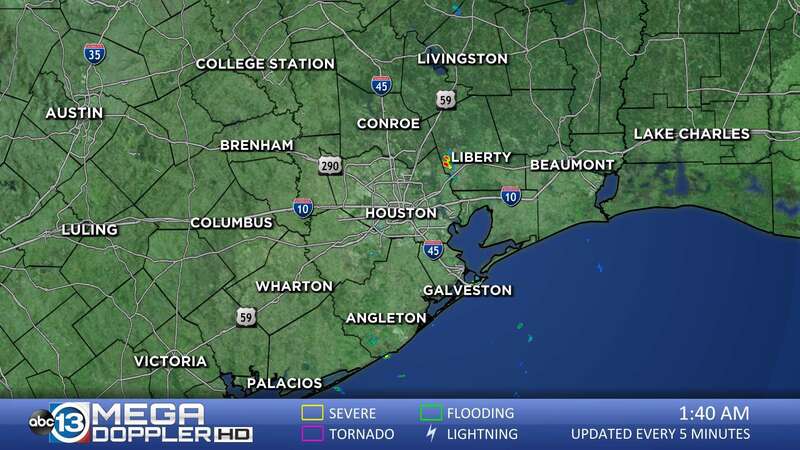 ABC13 meteorologist Travis Herzog is tracking another disturbance that could bring more showers and even a few thunderstorms to Texas this weekend. Our change of strong thunderstorms will come on Saturday afternoon. After that, expect a dry, cool and very windy Sunday.